The Galaxy Community Council is a 501( c )3 charitable corporation with approximately 100 civilian members. We are veterans, local business people and other citizens who want to support the men, women and mission of Westover Air Reserve Base. We work as a liaison between the base and the surrounding communities, as well as champion the economic importance of Westover. 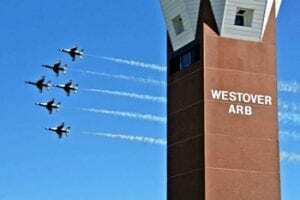 Support the military men, women and mission of Westover ARB. Promote interaction between Westover ARB and its surrounding communities.